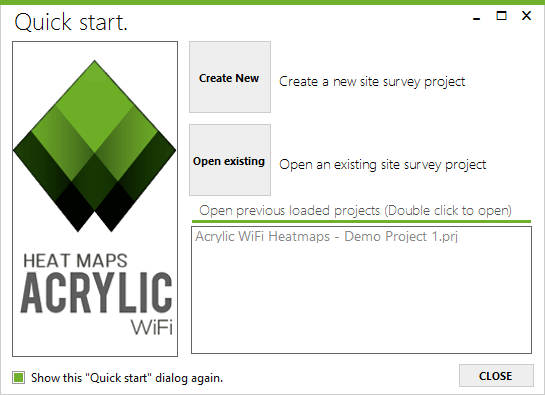 There are two ways to create a site survey on Acrylic Wi-Fi Heatmaps: Going to Project menu > New or from the Quick Start window that is displayed after launching the software that gives you the option to create a new project or open an existing one. 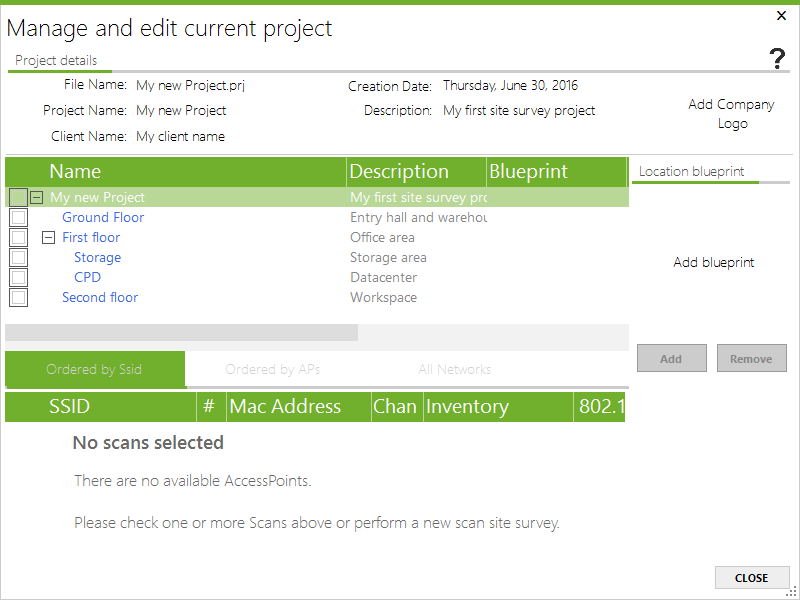 In this window, you will need to fill in all project identification information such as project name, project description, and client or company name. To create a site survey project, you are required to use locations, which put together all measurements performed at a specific site. In a new project, you can create new locations and have some locations depend on others. For example, a project can have two different locations, Building A and Building B, and each one of them can contain other locations, such as Ground Floor and First Floor. The project can be edited at any time, and new locations can be added from the project window. 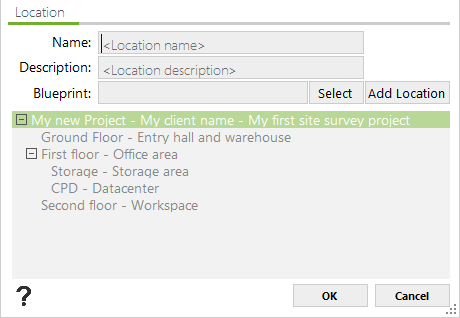 Once all the parameters are defined, click on “Add Location” to add that location to the project location tree. Once all the locations have been added, click on the OK button to create the site survey project and to start working on it. You can check your project’s parameters on the Project Manager window, which can be accessed from the Project menu. Bear in mind that, at this point, you still have not added any blueprints or satellite maps to your project, one of the software’s main functionalities. Each location can be added and adjusted to a blueprint or satellite map, so all necessary measurements can be performed directly on them. Continue to the following article: ‘How to Calibrate a Map to Perform a Coverage Analysis and Site Survey‘, and download Acrylic Wi-Fi Heatmaps now to start creating your own site survey projects and generating amazing Wi-Fi coverage maps. 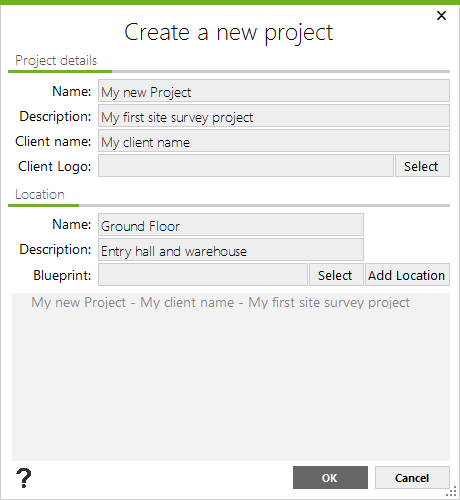 The following video shows how to create a site survey project from scratch.